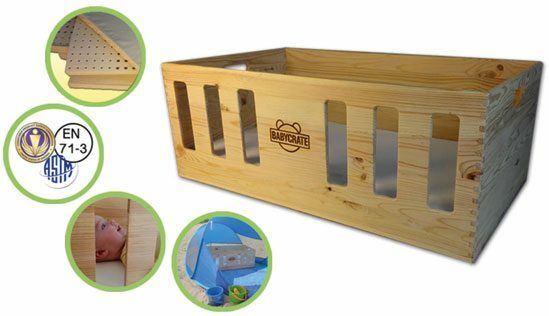 The BabyCrate is made of solid FSC-certified pine lightly treated with a water-based lacquer. The mattress pad is pure, 100% natural caoutchouc, covered with thick organic cotton to ensure optimal firmness without toxic offgassing. Two removable, extra soft organic cotton sheets allow easy cleaning.